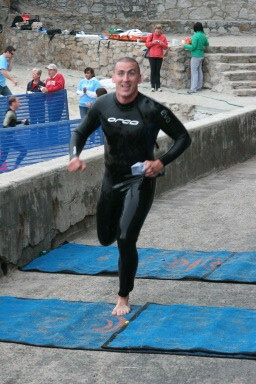 After my last triathlon, I ended up taking 3 or 4 (or maybe 5) weeks off from training. After signing up to race again on Nov. 8th. Big mistake!! Last week I went for a couple of very painful runs and was realizing how much ground I have really lost. It hit me that if there were the opportunity to jump in on a killer race immediately, I probably couldn’t hang. Even worse considering I’m out again 2 weeks from today. Today was a little better. I shared with a friend that I recorded my new best mile today. Apparently 8:22 is pretty lame to a former runner. Good thing I was wrong. My fastest mile is actually 8:15. Now time for a triathlon spiritual analogy. As I was running, it got me thinking about 1 Timothy 4:2, when Paul says “preach the word; be prepared in season and out of season”. I can do the same thing at times in my spiritual life. I dig into the word because I’m gonna be teaching on that passage soon. I spend some extra time with Jesus cause I’ll be leading worship. But sometimes I forget to just stay sharp and hang with Jesus because He is. Because I’m meant to be. In the same way that I won’t be ready to race a triathlon if I don’t continue to train, even out of season, and definitely won’t get better, I won’t be ready to meet the increasing challenges that God has for me if I don’t work to say spiritually fit as well. So what are you doing to “be prepare?” In season and out? That being said, I need to get lots of Tri training in during the next couple weeks. And just for fun, here’s another pic from Pacific Grove that I thought was kinda funny! According to this guy your mile was average. I guess considering you were below 8:30 it might even be considered above average! Whoever that person was that told you you were slow is a jerk!